While many people love the voluminous spaces and breezy feeling of open floor plans, decorating combined living room and dining room spaces can prove challenging. Arrange furniture that maximizes the functionality of your open plan interior without sacrificing style. Your living room and dining room furniture need not match to make the areas look unified and stylish. 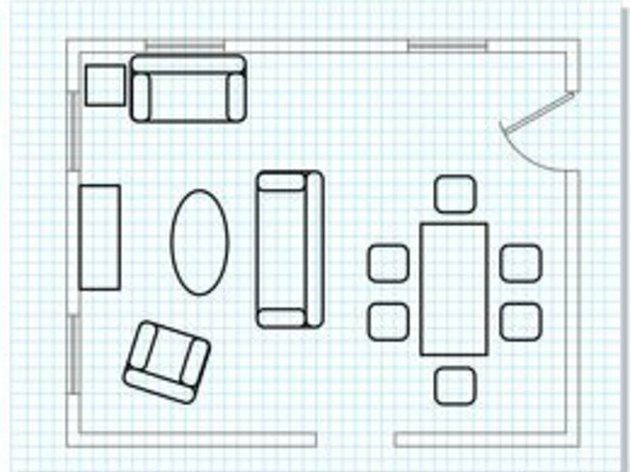 Sketch your living room and dining room floor plan on a piece of graph paper. Account for windows, doorways and architectural elements such as fireplaces. On a separate piece of graph paper, draw your living room and dining room furniture. Aim for a relatively accurate ratio of furnishings to the overall space. Cut out the images of furniture. 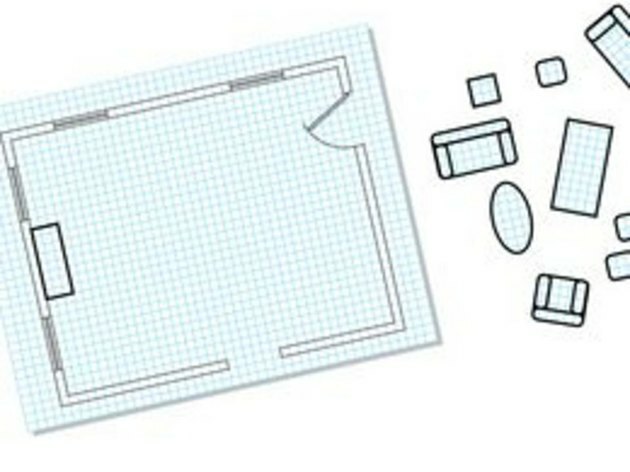 Arrange your drawings of furniture on your sketch of your floor plan to get an idea of various possibilities. Avoid the common traps of lining your walls with furniture or pushing everything to the middle to create a catch-all space lacking definition. Consider different vignettes of furniture arrangements within the larger space. In the living room, a pair of chairs or love seats in an L-shape around an ottoman or low coffee table creates conversational seating. A long, low cabinet or bench may create subtle definition between your living room and dining room areas. 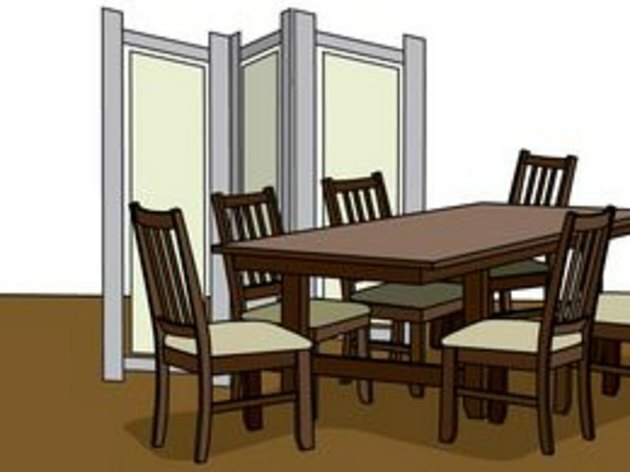 If you desire more privacy, a tall, well-anchored bookshelf or a tri-fold Shoji screen sets off the dining area from the living room. Highlight focal point pieces of furniture that make the living room and dining room feel like a cohesive space. Angular wooden frames on chairs and shelves make an open floor plan have a modern vibe, while sculpted legs and darkly stained wood have a classic aesthetic. Even an eclectic collection of furnishings may share common details such as curved edges, intricate carvings or a background color on upholstery and cushions. Place eye-catching pieces toward the center of the space, or have them radiate from a corner at a diagonal. Accessorize your furniture layout to maximize the effect. 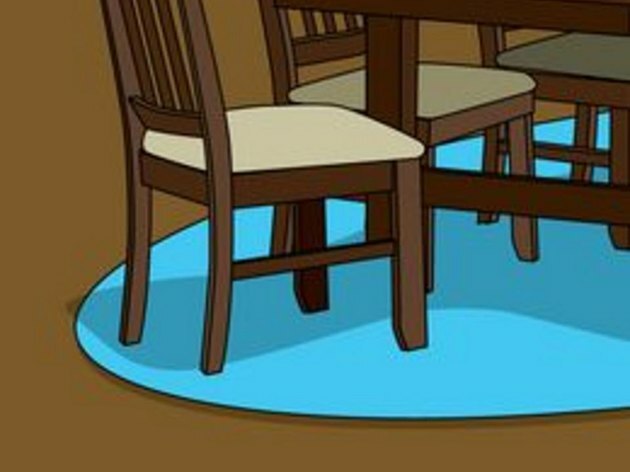 Place bright or patterned throw rugs under tables or runners along high traffic areas. Line a dividing bookshelf or cabinet with glass bottles to create a subtle division. Bright textiles on couches, dining room chairs and tabletops can keep the interior looking lively and allow details to stand out.